This funny-sounding word is an important tool in the business world. 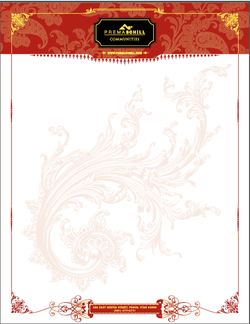 A letterhead is a template that companies write all their official documents on. For instance, if a company needed to write a letter to one of their customers, they would write it on the letterhead. That way the customer knows who sent it.